Yorkshire Terriers are highly popular companion dogs. But, this often pampered breed, has humble origins in the mills of Yorkshire, where they were used to catch vermin. Yorkshire Terrier puppies have come a long way since then, and their spirited nature makes them a loyal, fun–loving pet. These toy dogs will grow on average from 7″ to 10″ (18 to 26 cm) tall and will weigh up to 7 pounds (3kg). 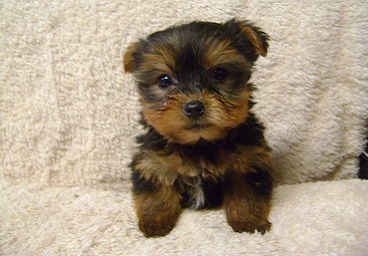 The grooming of Yorkshire Terrier puppies can be demanding due to their silky, fine coats. If not groomed on a daily basis, mats and tangles will develop, leading to many owners keeping them clipped. Yorkshire Terrier puppies are adaptable to most living conditions, being small enough for apartments, but would be happier with a garden. Despite their stature, Yorkshire Terrier puppies are very active dogs and enjoy plenty of regular exercise. They make excellent companions to single owners or families, but given their size may be better suited to a family with older children. All Dogs4Us Yorkshire Terriers puppies come with a six month guarantee and are temporary vaccinated, wormed and microchipped for identification. Please call us prior to visiting should you be interested in buying a Yorkshire Terrier puppy, so we can check availability. 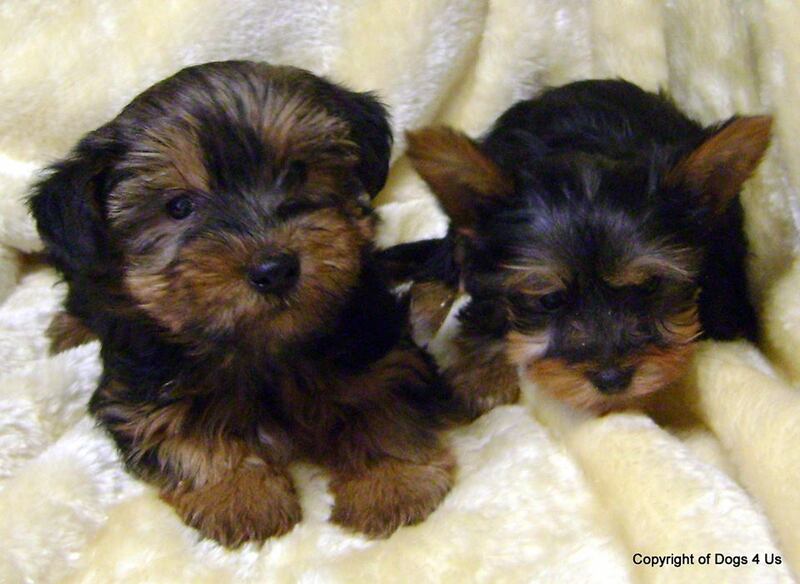 To find out more about Yorkies and to check availability contact us at Dogs4Us. Take a look at some of the Dogs4Us Yorkshire Terrier in their forever homes and don't forget to upload your Dogs4Us Yorkshire Terrier snaps to join our family galleries.